This video treats the "Old Yang Style" in the same way that No. MTG30 teaches the Cheng-fu from, taking each movement and showing it in its "opening and closing" state in the most minute detail at the 2nd highest level. Opening & Closing plus "yin & yang" hands are covered. 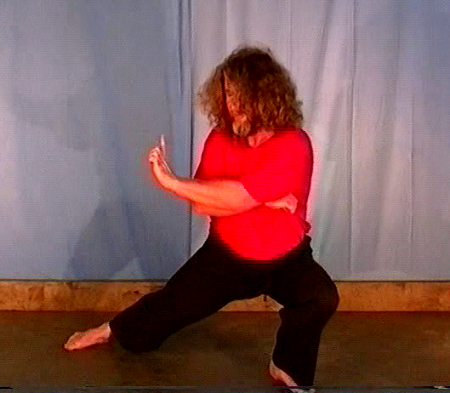 The Yin/Yang hands are essential for progression in your Tai Chi. Every movement we make with the hands must have Yin and Yang, so that when we for instance have our left palm in a Yang state, the right must be in a Yang state. This adheres to the Tai Chi Classic principle that there must never be 'double weightedness' anywhere in the body during practice. Most people only ever learn about the weight distribution, however, it goes much deeper than just that.